Home > What is Agreed Value Insurance? Agreed value insurance is where you the insured and the Insurance company agree on the value of your collector car. In case of a total loss you will receive the value you and the insurance company agreed to. 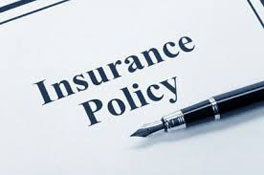 Agreed Value insurance is often confused with Stated Value insurance, but stated value insurance only covers the fair market value of a stock vehicle, which isn't a big deal if you have an original car, but if you have restored or customized car the difference between the replacement value and fair market value can be huge. For the most part, Farmers, State Farm, Progressive, Geico and similar large Insurance companies don’t even sell “Agreed Value Insurance”. The only large company that sells both Stated Value and Agreed Value is the Auto Club aka AAA. Otherwise Agreed Value insurance must be purchased from specialty Insurers like Grundy, Hagerty and other Collector car insurance companies. Don’t let them sell you what they have, make sure your custom or collector car is insured with Agreed Value Insurance. Read the policy before you buy it. If it contains a provision called an Appraisal Clause, it’s not an Agreed Value policy, with agreed value insurance you agree to the value before you bought the policy.